Your either have lots of time, looking at the cheapest website options or genuinely interested in having a crack in building your website for your small business. There are quite a few options these days when it comes to sites, below we have outlined some advantages and disadvantages of using a program such as Wix, Squarespace which are online website building options available. 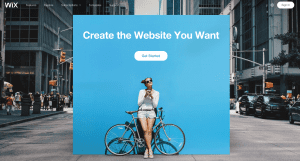 To create your business website using an online website builder to show off your web design skills for your current small business website. 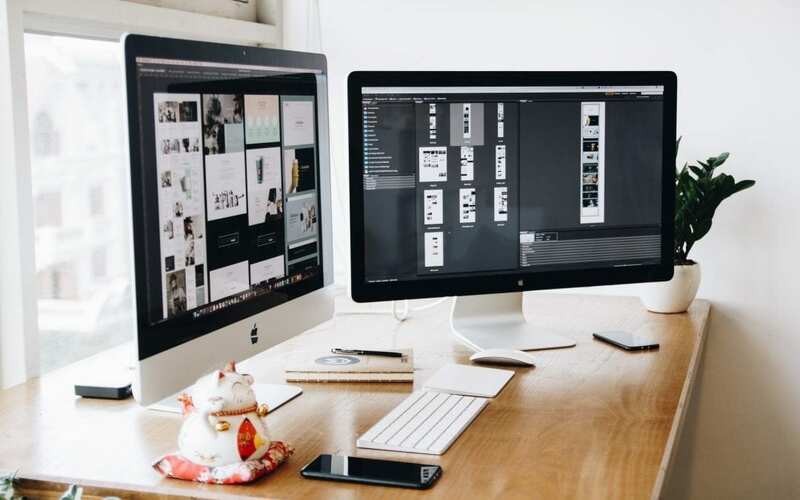 However, there are things to consider before starting your web design project to help save time, money and frustrations. Creating a website using an online website builder is relatively easy to use when starting with one of their templates to guide you through the process. Before you start, it’s always good to calculate your effective hourly rate and if you should be spending time getting creative with web designs or is your time better spent on other things for your business. Other options available, are to hire a creative web designer or developer to plan, design and build your website A good web designer should work with you, and get to know your objectives, business goals and understand your branding and business personality before they even start work. When sourcing a local web designer, it is good to ensure you both have a great rapport. It’s good you have a proper feedback process in place when designing an tweaking your web design concepts. The same goes for when selecting offshore freelancers you want to be able to ask them lots of questions and ensure you have a proper communication channel in place to work with them on your web project. By working with a web designer, you are engaging with them to help save you time and money. Don’t always think the cheapest web designer is the best option, sometime it could cost you more. If you want to go for a cheap web design, you may be best to start with trying to build your site using an online website builder like wix.com, Squarespace, Weebly, or even wordpress.com, however, these products have advantages and disadvantages. Which online builder should you use? There is a lot of choices but I wanted to only highlight three of the popular starting areas to consider for starting out if you want to build and design your website. Squarespace is another favourite product, often used by Instagrammers, fashion sites, photography sites, wedding planners and event organisers. It’s easy to set up and worth investigating. Just be mindful of price creep for adding on extra services as you require them. One of the most favtourite platforms to try your hand is starting out on the wordpress.com platform. At the time of writing this, WordPress is releasing some new features into the product range which will see them compete with the likes of Wix and Square space with drag and drop elements. There is always going to be some positives and negatives which you will have to put up with designing your website with a website builder. Your time as a cost – How much is your time worth, do you have the time to be spending on tweaking, adjusting images and fonts to get the look you after. Could you be using this time more proactively to grow your business? Lack of expertise or skills – Unless you know the primary construct behind a website, there will be some things you will need to follow and learn to ensure your web design looks the way you want it to, and secondly performs the way you want. Additional Costs – Majority of the online website builders offer a base level to start. Though when you want to bring your website up to a level which is professional, there will be additional costs. Things like SSL certificates, booking widgets, integration into some CRM systems. Support – When your site is not working can you call someone or leave a message with someone you trust. Majority of the support for these programs is offshored and uses online ticketing systems. If they provide you with a support number, you’re in good hands. Moving / Exporting – Say your business has outgrown its place on the platform of your choice. The process of moving or exporting your current site can suddenly become an arduous task by any scope. It’s not to say it can’t be done. Always good remember it is your content, but you don’t often own the framework or platform the site is built on, which bring me to my next point. The racecourse – Let’s say you build a fantastic online store or e-commerce business on one of these platforms, then suddenly one day you discovered your site no longer exists. These platforms have rights to remove and change the rules at any time. You want to own your racetrack if you don’t believe me google James Schramko as this is a term he frequently uses throughout his blog and podcasts. There are few advantages worth considering when it comes to using a website builder for web designs. Cost Saving – When working with the base levels of this programs like Wix and Squarespace you can on the costs and they do provide value if setting up simple single page websites that don’t require much work or effort. Website Skill Development- They are a great way to learn and develop some basic online skills and start to learn the functionality of integrating your site with email marketing platforms and social media etc. Outsource help is available – You can find developers who are happy to help build you a site on Wix if it all gets too much of your time and you don’t know what you are doing. But if your paying someone to build you a Wix website, you may as well look to engage with a web designer who can create your customised theme site using WordPress. So you are hell-bent on building your website. Here are some skills areas which you may want to brush up on or learn before putting down your first line of code. Having some basics behind you will help you even if you are working with an out of the box website builder product. Here are two starting places to consider if you want to brush up on those online skills. So well if you got this far you either just scrolled to the bottom or you have read the complete page (well done). Building your website is rewarding. I still get a quick out of handing over sites to clients that have started with an idea on paper; it’s even more rewarding when you can watch a website grow and do what its objective is designed to achieve. If you want to take the easy route, go ahead try building a site using a website builder, or you can have a crack at creating a WordPress site. There is plenty of free resources and tools available it’s just about how much time you want to give to your new passion. If any of above just sounds to time-consuming you are more than welcome to contact us to discuss your website project.